There will be a press conference on Friday April 29th at 2 PM local time. 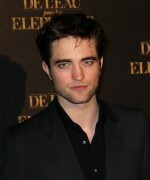 On the same day Rob will appear on Le Grand Journal. LIVE Stream here Hope it works.